An assemblage of footage shot during performances by Loophole Cinema. 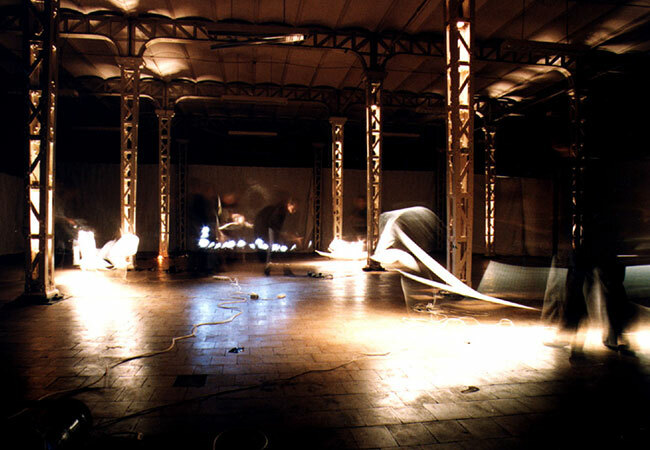 The group used light, lenses, projections and bodily interventions to create immersive cinematic experiences. The shooting took place during their residency in ARTIS, an artist run space in Den Bosch, 'Lichten' an event at Duende in Rotterdam and the International Symposium of Shadows, a festival organised by Loophole Cinema that transformed the West India Quay warehouse in London Docklands into a temporary museum of light, sound and shadow. By means of stop-motion, long shutter speeds, superimposition, layering and slow-motion the images are manipulated and intensified, resulting in a labyrinthian time-space. The literal meaning of the concept cinematography; writing with light, is represented in a hallucinatory way.